Two questions: What exactly is this card trying to say? And why the recycling symbol? Be sure to check out Taylor's blog, This is My Life, where you'll find similar strangeness. 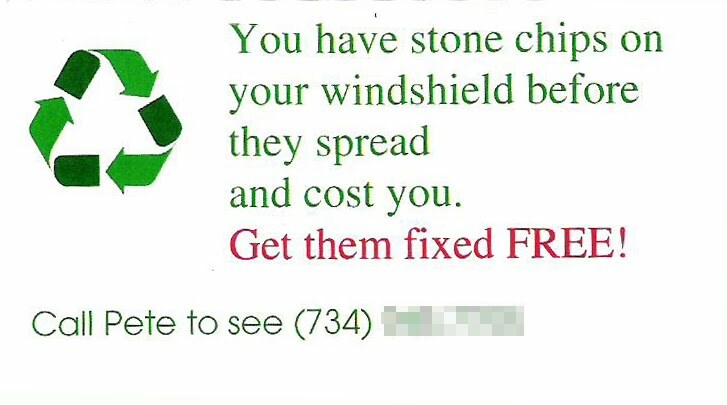 "You have stone chips on your windshield. 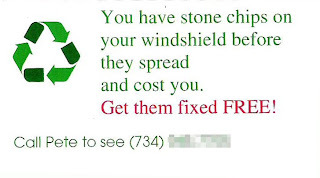 Before they spread and cost you, get them fixed for FREE!"